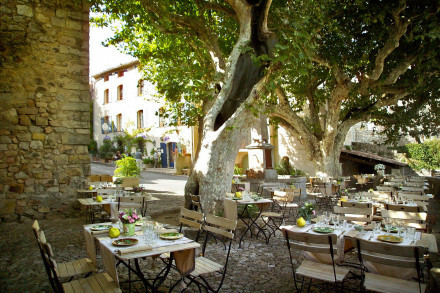 Fantastic gourmet Provencal cuisine by chef Philippe Choisy, plus the hotel offers special tasting packagaes for two. A converted olive mill set in a beautiful four hectar park with swimming pool, orchards and fragrant gardens. Check out the agricultural eco-museum exhibits in the local flour mill. Lounge by the pool, dip in the hot tub and genreally let your worries slip away. The sandy beaches of Cannes and Saint Raphaël are just half an hour away. Bring your rackets and head down to the nearby tennis courts for a friendly knockabout.